KLUTCH: In book "The Pack: Vol. 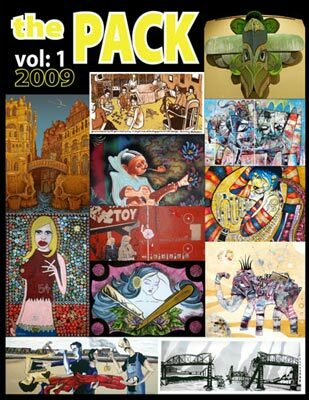 I"
Goodfoot and Poboy art are proud to realease "The Pack: vol 1" a collection of goodfoot artists. The release will coincide with an art opening July 30th, from 5-11pm, the show will be up until Aug 25th.